But he's a special pup. See, he has a grain allergy. Grains cause him to itch uncontrollably. To the point where he starts to bleed. Poor boy. So we've had to adjust his food and snacks and for the past year, little baby Toby has only had carrots, cucumbers and apples for treats. I know, we're horrible parents. But when Christin sent me this amazing recipe, it was music to my ears. 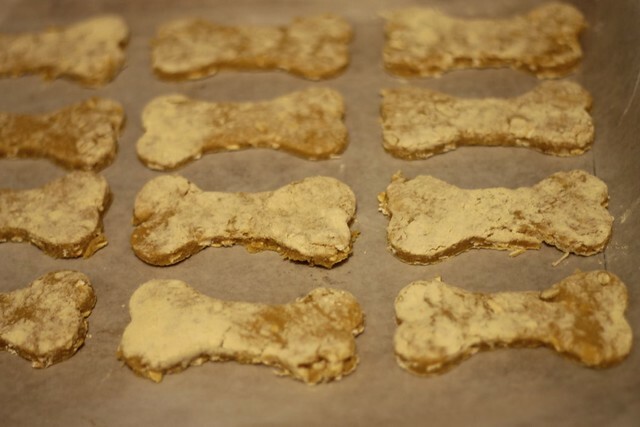 Follow the recipe to a T and you've got yourself some amazing dog treats. 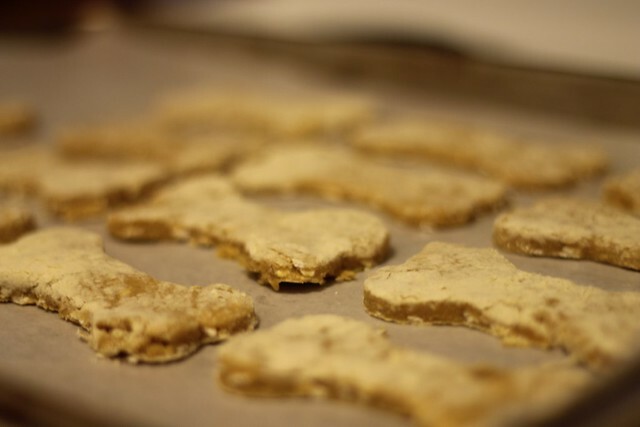 Bonus points if you go to Sur la Table specifically to buy dog bone-shaped cookie cutters just for this recipe. Oh my god - Toby is the cutest! I just want to snuggle him! He is soo cute! I love that you bake these for him - so nice. Isn’t That Charming. Yay for healthy doggie treats. 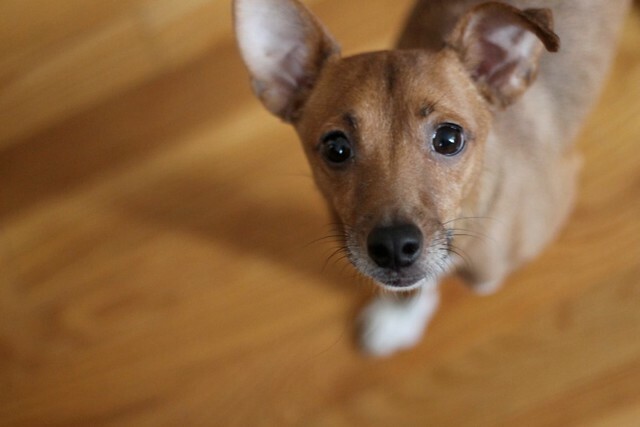 PS I love Toby, he is just the cutest thing! Love that you have found an alternative treat for him!